Giving chocolate to your loved one for Valentines Day is an old tradition. But why do we associate chocolate with love and what are health benefits of eating it? 1. It improves our life. Anandamide is the chemical in chocolate that quickly activates dopamine receptors in the brain which temporarily blocks feelings of pain and depression and provides the sense of wellbeing or “high”. 2. Substitutes for love. It delivers a potent neurotransmitter called phenylethylamine, which is more commonly known as the “love drug.” That is why people crave chocolate when love is missing in there lives. 3. Makes us happy. Cacao also has tryptophan – a precursor to the mood-stabilizing neurotransmitter serotonin. 4. Reduces the risk of cardiovascular problems. It has anti-clotting, blood-thinning properties that work in a similar way to aspirin which can improve blood flow and circulation. 5. Prevents cognitive decline. Cocoa’s flavonoids seems to make people feel more awake and alert and perform better. ( No wonder why my mom always gave me dark chocolate when I took my tests). 6. It is also and inflammation fighter due to resverathrol presence. Eating dark chocolate is the most natural ways to reduce the inflammatory processes underlying the chronic, degenerative diseases. 7. Keeps cholesterol healthy. 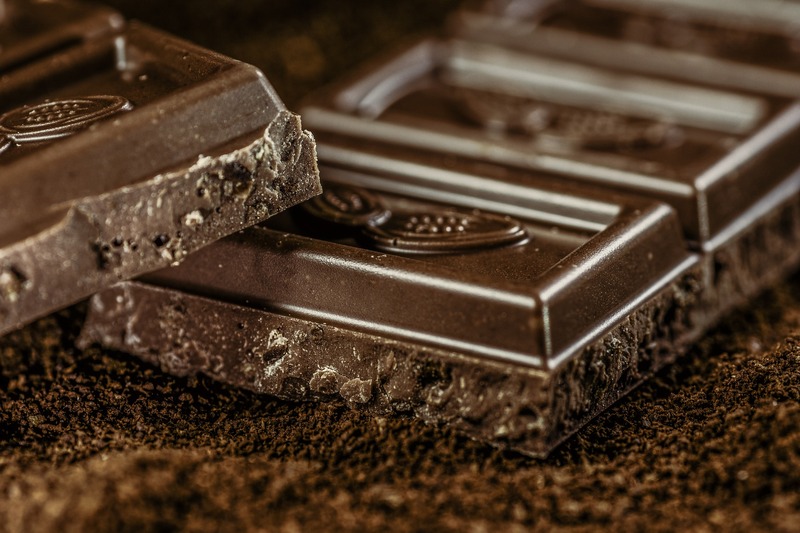 Naturally occurring polyphenols in cocoa, the fundamental component in chocolate, actually boost levels of HDL, the “good” cholesterol, while at the same time reducing the atherogenicity of so-called “bad” variety – LDL – by preventing its oxidation. 8. Increases energy. Chocolate contains caffeine, a stimulant that can help heighten physical energy and alertness, but studies also show that it can inhibit inflammation in the brain that causes migraines. 9. May reduce cravings for sweet, salty and fatty foods. 10. Increase insulin sensitivity and reduce risk of diabetes. 1. Non-organic bars might contain GMO- soy product, such as lecithin! 2. Watch for amount of sugar! Keep all this information in mind when you buy good quality chocolate for your Valentine. If you would like to surprise you loved one and make chocolate yourself check my recipe from the forthcoming cookbook.